When developers couldn’t make it work, New Albany officials took matters into their own hands, crafting a plan to revive the dilapidated Reisz Building as a new city hall. Downtown New Albany is on a roll, with dozens of buildings being rehabbed and new businesses opening. 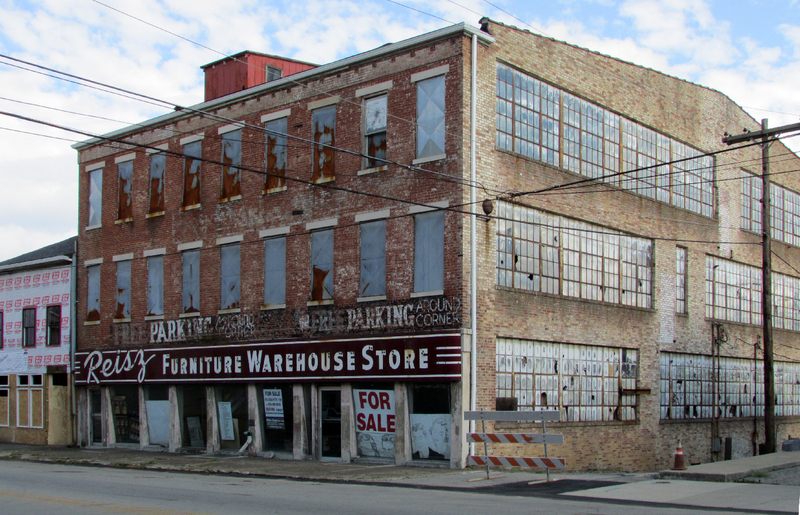 In spite of the momentum, the Reisz Building — a former mill on East Main Street — languished. 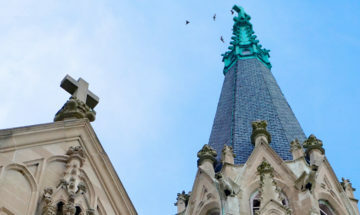 The building’s fortunes turned earlier this month, when members of the city council approved a plan to transform the landmark into New Albany’s city hall. 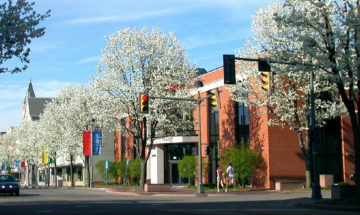 Since the early 1960s, city employees have shared space with Floyd County workers in the City-County Building. Cramped quarters and the desire to stop renting space prompted city officials to look for new space. Constructed in 1852 as the Empire Flour Mill and later used as a factory, the Reisz building housed a furniture warehouse from the 1940s until 1974, after which it fell vacant. Several developers looked at the building over the years but cited the building’s deteriorated condition and simply couldn’t make the numbers work. The building became impediment to the area’s revitalization. To make the project work, the city partnered with local developer Denton Floyd Real Estate Group. 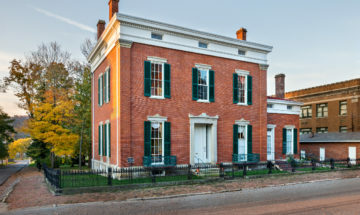 Originally based in Louisville, Denton Floyd has become a major preservation player in southern Indiana, taking on projects including the save of Jeffersonville’s Masonic Building, a former entry on Indiana Landmarks’ 10 Most Endangered list. The company is rehabbing the building as its new headquarters. In New Albany, the firm is converting the historic M. Fine Shirt Company Factory into an assisted living facility. Denton Floyd will rehab the Reisz Building, a 14-month, $6 million project that will yield a state-of-the-art facility for the city. The firm will use historic tax credits as part of its financing package, an option made possible by the building’s inclusion in a National Register historic district. The city will repay that investment over fifteen years, and then own the building outright. “This plan brings new economic development to Main Street. It adds more technology and efficiency to city government and removes blight. It saves and repurposes a historic downtown building, and it puts us in a better position to attract new investment, the key to our future prosperity” Mayor Jeff Gahan said in his statement to the council urging its support for the project.